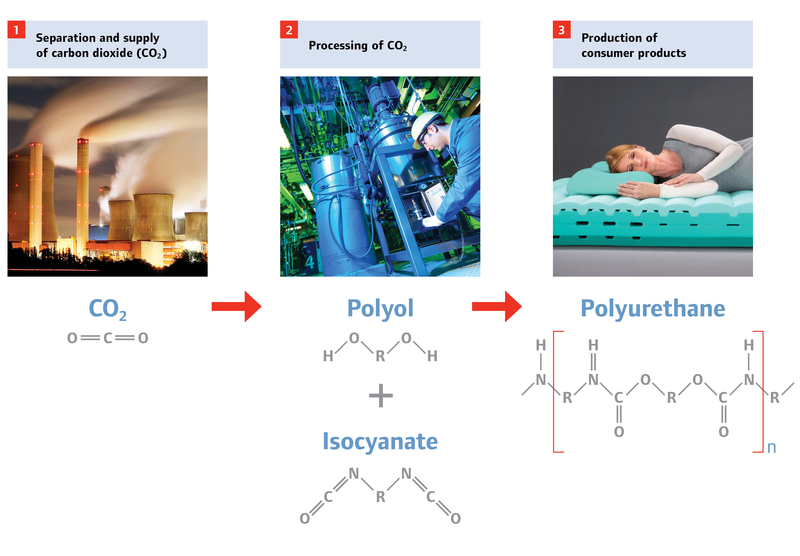 The Dream Production process turns carbon dioxide (CO2) into a useful raw material and new building block for polyurethane foam, a material used as cushioning for a variety of commercial and consumer products. 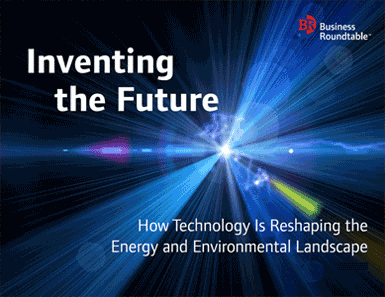 This scientific advancement has the potential to broaden the chemical industry’s raw material base — thereby reducing dependence on traditional fossil fuel inputs — while reducing overall manufacturing emissions. The Dream Production process allows manufacturers to use CO2, formerly a waste product, as an alternative raw material for polyurethane production. Because the CO2 released as a result of fossil fuel combustion is highly thermodynamically stable, finding a catalyst capable of activating it efficiently has been the key challenge to leveraging it as a manufacturing input. Scientists from Bayer and the research institute CAT Catalytic Center in Germany discovered a zinc-based catalyst that enables CO2 to react efficiently with high-energy substances known as epoxides without complicating side reactions. This reaction results in a new kind of polyol that contains a large amount of CO2 instead of fossil fuel. The combination of this new polyol and other additives makes a polyurethane foam. 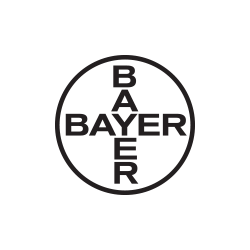 Since this discovery, Bayer and other manufacturers have been working to chemically process CO2 into polyols. A pilot plant in Leverkusen, Germany, is currently using the Dream Production process to produce polyols from CO2 from a nearby coal-fired plant. The new CO2-based foams have undergone thorough testing, and there are plans to introduce these materials into the process used to make mattresses in the near future. Improved environmental performance: The Dream Production process reduces the energy inputs required for polyurethane production while also reducing carbon emissions. Additionally, Dream Production transforms CO2 waste into a useful raw material. Enhanced energy security: By helping to broaden the raw material base of the chemical industry, Dream Production can improve feedstock flexibility and diversity.